Will Moldova join the Customs Union? Recently, the expert environment has substantially discussed the prospects of the upcoming elections in Ukraine, but they are forgotting to pay attention to the events taking place in the neighboring and yet friendly Republic of Moldova (RM). 24 February 2019 will hold parliamentary elections in the country, which, according to preliminary estimates, can significantly change the political landscape, influence the vector of development of the Republic of Moldova and future relations with Ukraine. In the past few months, a number of events have taken place in the RM, which indicate that, on the eve of parliamentary elections, the level of political tension in the country is only increasing. After August protests from the pro-European extra-parliamentary opposition - Action and Solidarity (DS) Andriy Nastas and the Platform for Dignity and Justice (MGS), Mai Sandu, as well as the "political-technological step" of the Shore Party, held their mass events in October and November Moldavian Democratic Party (PMP) Volodymyr Plakhotnyuk and pro-Russian Socialist Party of the Republic of Moldova (SRM), President Igor Dodon. A meeting of the pro-European party of power - the DPM took place in October 21 on the square of the Great National Assembly in the center of Chisinau. He focused on demonstrating party achievements during his tenure over the last few years - stabilizing the economic situation, raising wages and pensions, improving macroeconomic indicators, developing cooperation with the EU, and so on. Democrats have managed to stabilize the situation in the country over the last three years. But the main goal of the DPM in the framework of the rally in October was to publicly, massively and pathetically announce a new vector of development - "On Moldova", which Moldovan politicians flawed on the eve of the West. 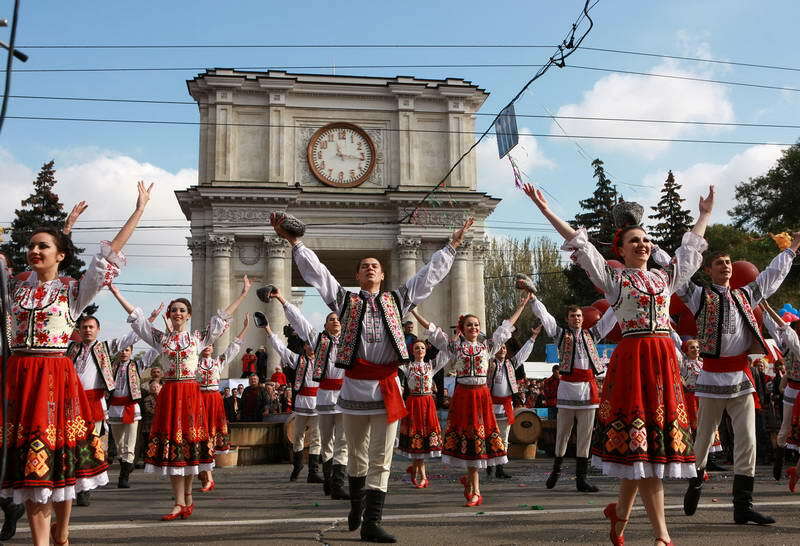 In fact, Democrats have changed their benchmarks from pro-European to pro-Moldova ones, which predict their own path of development of the country with a concentration on their own opportunities. That is, not only the pro-European way of development, but also not pro-Russian ..
What is it due to? The fact is that now the European Union (EU) often manages both formal and non-formal criticism of Moldova. In Brussels, they are disappointed with reforms in the country, the curtailment of democratic freedoms, a shameful case of cancellation of the election results in Chisinau, opposition to pressure, corruption, excessive concentration of power and the control of all government structures of the oligarch and leader of the party "Vlada" Plakhotnyuk, etc. So it turns out that instead of taking into account the EU recommendations in its own activities, the Moldovan government, headed by the Democrats, de facto decided to maneuver. The rally "SRM", which took place later, is already 18 November of this year. at the same place in the center of the capital, actually continued the election race. Proponents of the Socialists for the action, as well as "DMP", were organized to be brought to Chisinau on buses from all regions of Moldova. They passed the march to the center of Chisinau and held a rally on the central square. To the west came the main socialist Igor Dodon, who, after his election, suspended membership in the Socialist Party, but remains an informal leader. In his speech, he stated that "the patience of his and the people has been exhausted," but one must "not give in to provocation" and wait for the victories of the Socialists in the parliamentary elections. "SRM" stated that it is struggling with the authorities and that it is the only opposition in the country. Another mention was also made of a $ 1.5 billion worth of money stolen from the banking system "RM" during the reign of the pro-European forces. At the same time, during the speeches of the heads of the "SRM", the name of the actual PM "leader" - Vlad Plakhotnyuk, who has traditionally been accused of all the existing problems, was not named. In the final resolution of the rally, the socialists laid out their pre-election promises - raising several times salaries and pensions, providing the population with free medicine and education, friendship with Russia, joining the Eurasian Economic Union, joining Transnistria, closing the NATO office in Chisinau and banning parties and organizations , advocating for association with Romania. In fact, the socialists have demonstrated their own orientations for the future, which, on the one hand, reflect the wishes of a large part of the Moldovan population and are frankly populist, and on the other hand, especially in the context of foreign-oriented landmarks, draw attention from the European community in general, and Ukraine in particular, which after the election, may lose a partner on the path to European integration and become an instrument of Russian influence in the region with all possible consequences. Today, surveys conducted in Moldova conducted by different rating and sociological structures, to a certain extent, reflect approximately the same picture. The parliament is convinced of the pro-Russian MPW, the DPM's governing body and pro-European opposition parties DS and PSG. At the same time, the party of socialists leads the list with a significant margin. For example, according to the September survey of the Association of Sociologists and Demographers of Moldova, "CPM" will receive 36,6% of the polled, "PDS" - 11,9%, "DPM" - 11,2%, and "PSG" - 10,6%. At the same time, according to this research, the highest confidence among the respondents is the president of the republic Igor Dodon (26,4%), in the second place - Andrei Nestase (5,7%), and in the third - Maya Sandu. The top five also included Prime Minister Paul Philip (3,9%) and leader of the Socialist Party of the Republic of Moldova Zinaida Greciani (2,1%). Such a schedule of forces and preferences in the country became possible due to the fact that the pro-European parliamentary parties - compromised themselves with corruption, and the government - a concentration of power, which, in conditions of weak support of voters, leads to a lack of trust and a loss of authority of the authorities. Against this backdrop, the influence of the pro-Russian forces led by Moldovan President Igor Dodon grew. Although the current state model introduced in Moldova has limited public authority, he is a politician using mass support, as evidenced by ratings and surveys. At the same time, DPN is trying to use the narrative of the threat of a pro-Russian revenge, but does not take enough steps to reform the country, ensure the irreversibility of the pro-European course, and also resort to situational alliances with the SRM. The non-parliamentary pro-European opposition mainly focuses on criticizing the current government and neglects the threats that may lead to pro-Russian revenge. However, it should be noted that the elections to the Parliament of Moldova for the first time in the history of the country will take place under a mixed system - 50 deputies will be elected by party lists, and 51 - in single-mandate constituencies. And here, according to experts in the "political cuisine" of the "RM", you can expect different surprises. • lack of a coalition due to political controversy and existing antagonism and, consequently, another, already extraordinary, parliamentary elections. The most likely scenario for the development of events is the association of "SRM" and "DPM", since after the DPM election, it will most likely be preferable in majoritarian districts (since in the regions the centers have been set up and there is an appropriate administrative resource), and "SRM" - by party lists. And although the main socialist Igor Dodon has repeatedly stated that it is impossible to create a "MPM" and "DPM" coalition, in practice the picture may turn out to be somewhat different. For example, these parties repeatedly voted on the same issues on a number of issues that were of interest to both political forces (in particular, amendments to electoral law). They also have virtually the only paradigm of further development for the country, which is based on the "own development path for Moldova." In the end, according to estimates by Moldovan experts, the leader of the DPM Volodymyr Plakhotnyuk has a direct influence on Igor Dodon. Such an alignment of forces will, of course, affect the country's foreign policy, first of all, in its relations with the European Union. If Brussels is already disappointed with the situation in the country, after the election, relations may deteriorate further. Instead, an impetus will be given to cooperation with the Russian Federation, as the Social-Democratic Alliance will try to compensate for the loss of the European vector by deepening its relations with Russia. Consequently, there is a high probability that the Kremlin's plan for resolving the Transnistrian conflict - the federalization of Moldova, where each subject of the federation will be able to influence the foreign policy of the state - will be implemented in the country. Later it will be demonstrated to the world community as a possible "way to resolve the conflict in the Donbass". It is clear that in the event of the formation of a pro-Russian parliament in Moldova, relations between Kiev and Chisinau will deteriorate. In addition, the Ukrainian side will have to strengthen its military presence on the border with Moldova. Because Kiev will regard the RM as a territory of Russian influence, which can be used for military aggression against Ukraine. In addition, the example of Moldova's federalization in the Kremlin scenario, which, if implemented, will be imposed on Kiev, is unacceptable for Ukraine. Although it should not be ruled out that the union "CPM" and "DPM" may not refuse attempts to establish relations with the EU and continue to maneuver in relations with the Russian Federation. But everything will depend first of all on whether the parties can find a compromise between themselves and whether the Kremlin will go into it. It is difficult to predict something unambiguously at this time. The full victory of the pro-Russian "SRM" was unlikely due to the fact that the DPM simply will not allow this due to administrative resources, as well as the fact that the pro-European forces "PDS" and "PSG" also have significant support among the population. The scenario of a party union of parties that will be held in parliament against the DPM is possible, but it is also unlikely due to the existence of significant disputes between "CPM" and "PDS" and "PSG". Opposition parties are convinced that "Socialists are the political instrument of power of Platochnyuk". However, there is another important point that can significantly affect the further development of events. 16 November 2018 held a closed session of the parliamentary commission of the Republic of Moldova to investigate the Open Dialog Foundation, headed by Lyudmila Kozlovska. As a result, the commission decided to go to the prosecutor's office to check the actions of the leaders of ACUM Maya Sandu and Andriy Nastas for treason to their homeland. The investigation allegedly showed that Open Dialog received funds through Silk Road, which has many sources of funding, including Russian ones, translated through the Russian Landmother Money Laundering Scheme. Under this scheme only over 2010-2014 through Moldinconbank, which then controlled Vyacheslav Plato, was wasted more than $ 20 million. The parliamentary investigation committee found that the Open Dialog Foundation paid the ACUM chairmen Mayi Sando and Andriy Nesty tickets to Brussels. Parliament during the investigation should conduct a new assessment of bills on the activities of political organizations. The Government will make proposals for improving legislation. The CEC will punish those responsible for violations, and will conduct a large-scale analysis of processes and institutional capacity. It is possible that Maya Sandu and Andriy Nasta can be excluded from the electoral process in these parliamentary races. And this, of course, will affect the ratings of their led parties. Local Moldovan experts are convinced that the investigation into this case is politically motivated and does not directly or indirectly point out the blame of opposition party leaders. After all, the contacts with the head of the Open Dialog Foundation were rare, and the money spent on the parties was minimal and amounted to a maximum of 300-400 euros, and the actions of Andriy Nastas and Mayi Sandu were not of a useful nature. 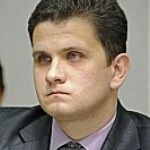 However, such a situation is "handicapped" by the Democratic Party and its leader, Vlada Plakhotnyuk, as well as his protégé to President of the Republic of Moldova Igor Dodon, as they lose their competitors and may receive an increase in their supporters among a significant part of the Moldovan population, which has not yet decided on the choice. In fact, by the end of November, all the main favorites of the parliamentary election race had mass events in Chisinau and tried to demonstrate their capabilities and electoral support. However, this is only the beginning of battles between political parties for power in the RM, the winner of which will be known at the end of February 2019 year. Today, the reality is that parliamentary elections in the RM can really change the situation in the country. At the same time, the range of changes is not wide enough, from the change of the vector of development of the country to the pro-Russian (with all understandable consequences) to the freezing of the current state for some time. However, official Kiev, taking into account the available estimates, should pay attention to possible changes in Moldova and take them into account in their future relations with Chisinau.